The Santa Clarita Team is currently marketing Placerita Meadows, a 95-acre property located within the heart of Santa Clarita. The subject site is zoned Mixed-Use Neighborhood (MXN), which allows for a variety of uses including residential, commercial and office. 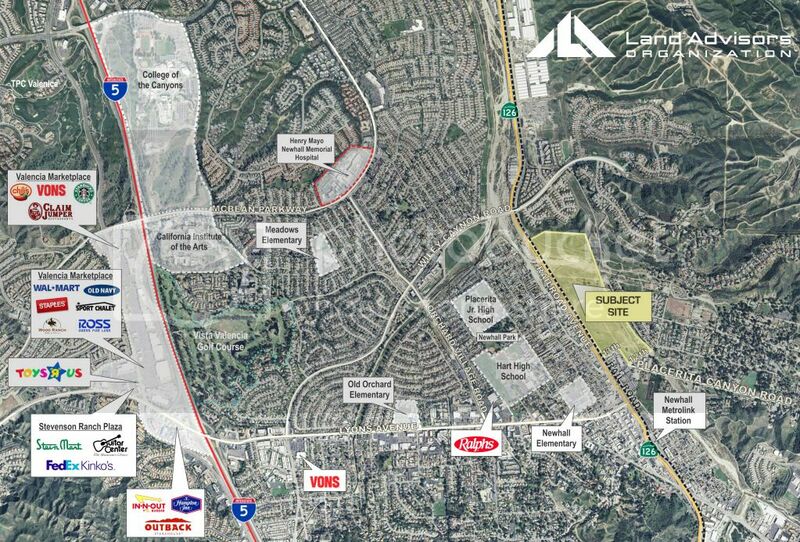 The Placerita Meadows offering is a unique opportunity to control one of the last remaining residential/ mixed-use land developments within the City of Santa Clarita and the supply constrained Santa Clarita Valley. This entry was posted in Santa Clarita Valley and tagged California Institute of the Arts, Clarita Career College, College of the Canyons, Lot Inventory, Mixed-Use Neighborhood, Newhall Metrolink Station, Paper lots, Placerita Meadows, Santa Clarita, semi-finished lots, Single family homes, Stevenson Ranch Plaza, supply constrained, The Master’s College, Valencia Marketplace, Valencia Town Center by landadvisorsca. Bookmark the permalink.